Look at TRAI's October data, it is known that the status of the remaining telecom companies can not be said good. 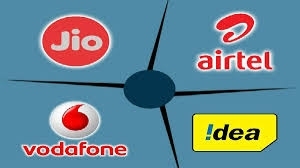 According to the Trai data, Reliance Jio has surpassed all telecom companies by connecting 1.05 crore users in the month of October. Which is a huge gap.